On Christmas morning, Silia stopped by the guest house to talk about the SMS program. He’s responsible for testing, drug provision, and follow-ups for TB patients. He described how he’s using FrontlineSMS and the network of cellphone-wielding CHWs. Almost all of what follows developed in my absence. Some sputum-positive patients don’t turn up to receive their medication. It’s Silia’s job to track these patients and get them back on their drug regimens. Before the SMS program, he was visiting an average of 17 patients per week – this took him three trips on his motorbike. Each trip would take ~9 hours. That’s 27 hours per week spent tracking patients in various villages. The program has been running for roughly 26 weeks. With the shift to SMS-based patient tracking, Silia had an additional 700 hours to utilize. Not surprisingly, he’s been using FrontlineSMS to supplement other areas of his work. He now visits an average of 4 patients per week, for different reasons. Some messages from the CHWs tell of patients who are too ill to travel to the hospital. Silia will respond by bringing a new supply of drugs. Other messages relay symptoms of community members – e.g. 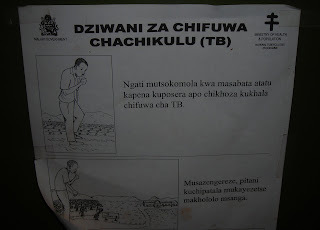 “A man has a chronic cough, and we suspect TB.” Silia will visit the patients, and collect a sputum sample. He’ll return to the hospital to do testing and send the results, by SMS, back to the CHW. 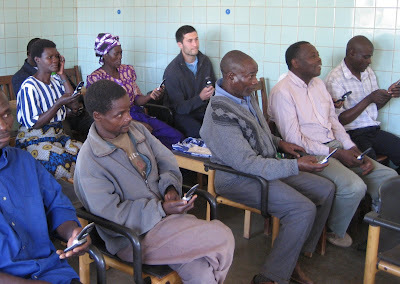 Finally, when patients at the hospital test positive for TB, they’re told which CHWs near their home have cell phones. 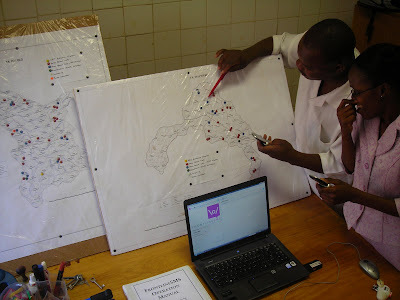 At the end of the session, the CHWs were asked to turn in a piece of paper describing the location of their home. Most of their responses were paragraphs long – some included extensive maps. Joanna, who is running PointCare’s CD4-count outreach program, relayed an interesting conversation with one of the CHWs a week ago. She traveled to their farthest site – a good 100 mile drive – and ran into Zakeyo, who said, “You know, Josh is coming on the 19th.” I checked FrontlineSMS, and Alex hadn’t warned him. It’s exciting to know that the next time I see him, I’ll pass along a solar panel accompanied by a solar-powered light. Tomorrow, I’m going to spend some quality time with FrontlineSMS – working through the communication over the last four months. Please comment freely, or shoot me an e-mail, with any questions. I have just two weeks before I return to Stanford, and I’m trying to make the most of it! As always, thanks for reading. 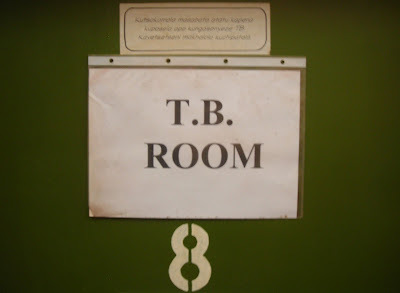 - A man missed his appointment with a TB officer. A CHW was texted, who reported the man had gone to Zambia for a funeral. The hospital will be notified upon his return. - An HIV support group met, and decided on new member guidelines. Via SMS, the group leader asked the hospital to print copies for the lot. - A CHW asked about ferrous sulfate dosages, so he could administer the proper amount to an anemic child. Ken is building a community of implementers. Interested parties should visit two of the group’s sites: www.kiwanja.net and www.frontlinesms.com. It is precisely due to FrontlineSMS’s smart simplicity that the project has developed organically – first and foremost, to meet the hospital’s needs as it serves its catchment area. The quick uptake of the project was fueled, in no small part, by how user-friendly FrontlineSMS is, as a central communications hub. Text messages cost 10 cents. Units can be sent from one phone to another via Celtel’s Me2U service, but managing the units of 100+ phones manually is near impossible. So, I had to find a way to both monitor each phone’s unit level and top up (replenish depleted reserves) automatically. Before leaving Stanford, I engraved each phone’s faceplate with a two-digit ID number. Using FrontlineSMS’s auto-forward function, I’ve set up a system to automatically top CHWs up. When they are running low on units, CHWs can text “(ID number) Units” to FrontlineSMS. Subsequently, a message is sent to Celtel, with instructions to top up that particular CHW. System abuse is unlikely and avoidable – the volunteers know that FrontlineSMS records every message received, sandwiched by unit requests. We’re starting to explore additional functionalities of FrontlineSMS. 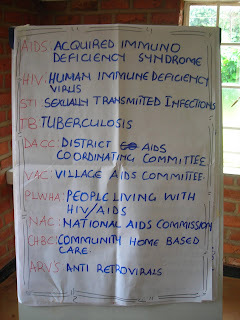 Each CHW is given a kit of basic medications – a portion of the questions we’re fielding involve those drugs. We’ll set up an auto-reply system so that any message containing a given drug name returns a summary – function, dosages, etc. – for that drug.